Does science explain the origin of the universe? Foititus: Which does a better job of explaining the origin of the universe, religion or science? Foititus: You surprise me, Didaskalus! Knowing you as I do, I was certain that you would choose science! Didaskalus: Hmm… maybe I misunderstood your question. What sort of explanation do you think that science has for the origin of the universe? Foititus: Well, I think the most popular view right now is that there was some kind of “big bang”. Everything started out in a hyper-compressed ball of extremely high energy, which then exploded. At least according to some interpretations, this explosion resulted in all of the matter and energy in the universe, and possibly even time and space itself. Didaskalus: That is a good summary. And that hyper-compressed ball: what was the origin of that? Foititus: Well, that is what religious people always point to, isn’t it? Some scientists have suggested different ideas… but none of them is very satisfying. Some say time started at the big bang. Some say there may have been some other universe that collapsed into the ball. But most scientists simply don’t speak of it. Didaskalus: Do you know why scientists do not speak of it? Foititus: I assume that it is because they simply don’t know! That’s the trap, you see. Religious people know that science fails with that question. Didaskalus: Well, the answer is more subtle than that. In order for an explanation to be a scientific one, it has to involve processes and theories that have been arrived at by looking at observations and finding relationships between them. Even the most bizarre-seeming theories, like quantum theory and superstring theory, are the result of taking observations and finding mathematical relationships between them, and then coming to conclusions based on those relationships. Foititus: (Sigh.) Yes, thank you Didaskalus. I understand that this is how science works. Didaskalus: Good. Now, when you look at the equations that describe matter, and you trace things backwards in time to the big bang, we get to the point where it is literally not possible to come to any more conclusions. 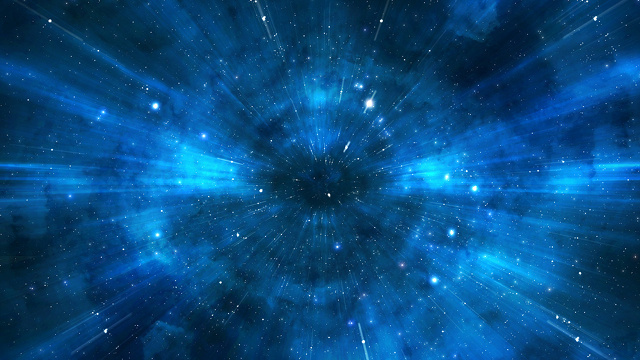 If we call the first moment of the “big bang” time t, then it is actually logically impossible for us to get the kinds of information that we would need to come up with a scientific theory of what things were like at time t-1. Foititus: So there can be no scientific answer to the question? Didaskalus: Not unless we come up with new observations. Maybe some day we will find new things to measure, or new ways of measuring things, that can let us think about what things were like before that ball of energy. Right now, we cannot. Foititus: I’m sorry, but that answer is just not very satisfying. You are basically admitting that there is a huge limit to the powers of science! Didaskalus: I think the limitation is not as huge as you think. Let me ask you this: Can science tell us right now what is going on at this very moment in the center of the star Vega? Foititus: No, of course not. Even if we had the ability to perfectly detect all energy and matter, it would take time for the matter and energy there to reach us so that we could make observations about it. However, I can develop a theory about what is going on in the star Vega now, based on what signals we have received, and my knowledge of the laws of physics, and how stars usually evolve, and so on. Didaskalus: That is true. But now, let’s imagine a planet that is 150 million light years away from us. What can you tell me about that planet? Foititus: Nothing. Of course! There is no way that we could have any information about it. It is so far away that it has no causal connection to us at all. Didaskalus: Exactly. Imagining what it is like is idle fantasy. You could sit around and contemplate, “I wonder whether there is a civilization on that planet?” but there is no way science could ever give you information about it. It is like that when we try to imagine what things were like before the big bang. It is a limitation of what science can do… but I don’t think that you could call that “a huge limitation”. It is just the difference between science and fantasy. Foititus: So I suppose that means religion does a better job of explaining the origin of the universe than science does. Didaskalus: Why do you say that? Foititus: Well, you just said that it is actually impossible, at least given the observations that we have now, for science to explain where the nugget of energy that gave rise to the big bang came from. In fact, it may never be possible for science to answer that question. Just like it’s impossible for me to know what is going on right now at a location 150 million light years away. Didaskalus: That is true. But, can you describe for me, at least in general terms, the best explanation that religion has for the origin of the universe? Foititus: Sure! God created the universe. Didaskalus: Saying “God created the universe” isn’t an explanation. Foititus: You mean that it’s not a scientific explanation! Didaskalus: No, I mean it’s not an explanation at all. It is an explanatory principle. Foititus: What is the difference between an explanation and an explanatory principle? Didaskalus: Well, let me give you an example. If you ask me why things fall down, and I say “gravity”, then I have not given you an explanation. Didaskalus: No. I’ve told you a word. A label. You now have a label to associate with the notion of “falling down”. But if the label is all that you have, then you do not actually understand it any better than you did before. Didaskalus: It is similar to a term that was popular among medieval alchemists: soporific. When people asked why opium caused people to get sleepy, they would answer: because opium is a soporific. Foititus: I see. We still don’t know anything about why or how opium makes people tired, or which specific parts or features of opium are responsible. We only have a label. But, is that all that “gravity” is, then? An explanatory principle? Didaskalus: Well, over time natural philosophers and scientists examined gravity in more detail, to come up with more specific ideas about it. For example, when Kepler suggested that the exact same force that is responsible for you keeping your feet on the ground is also responsible for the planets moving around the sun. When Newton came up with mathematical equations that described how gravity acts uniformly on objects in all situations. When Blokhintsev theorized that gravity was the result of the interaction of particles called “gravitons”. When Einstein came up with descriptions of how gravity interacts with light. Foititus: So with all of these details on how it works and what it is related to… this transformed “gravity” from being an explanatory principle into being… an explanation? Didaskalus: Well, it’s better to say that “gravity” now can be understood in a number of different ways, all of which explain the phenomenon of falling down in one way or another. Foititus: When religions say that God created the universe, they do not come up with equations. Nor to they come up with general principles, or laws, or theories about exactly what steps God took to make the universe. They leave it just as a statement: God did it. Didaskalus: Correct. That is why religions do not explain the origin of the universe. God is not an explanation. God is an explanatory principle. Foititus: Religion could explain the origin of the universe, I suppose. If philosophers started coming up with theories about exactly how God works. What rules God uses, and so on. Didaskalus: Give me an example. Foititus: Well, suppose a theologian came up with a specific theory about the timeline that God used for the order of creation, or an underlying equation or pattern that God used in determining how to create things the way that they are. Didaskalus: My dear Foititus, you are describing science, not religion. Didaskalus: If you have specific measurable theories, that make specific measurable predictions that can be tested, then you are doing science. If a theologian ever cared to come up with a formula, let’s say, to predict when or why God decided to grant prayers or change the weather, or as you say, an equation that describes exactly how God wanted particles in our universe to behave, the hypothesis would be a scientific and testable hypothesis. Foititus: So if I said, “It is God’s will that energy is equal to mass multiplied by the speed of light squared!” then a scientist would have no objection? Didaskalus: A scientist would wonder how you might demonstrate that it is God’s will, apart from the fact that it is true. What experiment can you perform? Are there any things that are true, but are not God’s will? If there are, is there an experiment that you can do that will distinguish between things that are true that are God’s will versus things that just happen to be true? Foititus: A religious person would surely object to this project of yours in principle. The entire point of religion is not to perform experiments and question how God works. It is merely to have faith in God. Didaskalus: That is true. That is how religion is different from science. But that is also why these so-called “debates” between religion and science in our culture today are so ludicrous. Didaskalus: Because, based on exactly what you just said, the entire point of God is that He is not an “explanation”. NOW READ: Teach divine mathematics if you want to… but do it right. Interesting article. As a person of religious faith, I want to be honest about the fact that it is “faith,” not proof or anything scientific. I go round and round with my daughter-in-law ( a very modern 30-something) because she seems to have “faith” that science explains everything. Science is wonderful and we could point to medical breakthroughs as one of it’s best achievements. But I point out to her that the theories of evolution seems to be a moving target. I think of asking her questions like ” if science can’t prove something, it would view that something as an opinion? Then believing that telling the truth or caring for your loved ones are valuable traits is just opinion?” Or perhaps scientists would simply say those are “moral” concepts and science doesn’t speak to them at all.